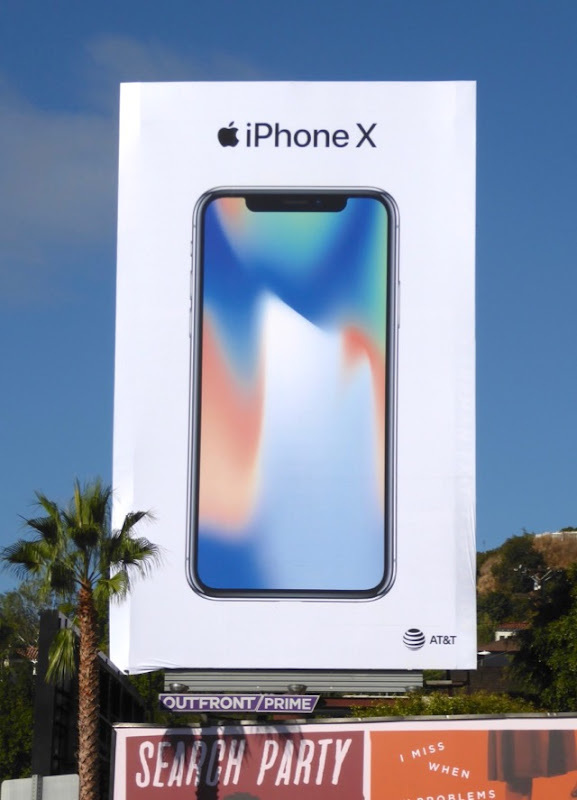 If you're wondering what gift to buy a loved one this holiday season, it looks like Apple has the perfect solution for high-tech lovers with its new iPhone X. 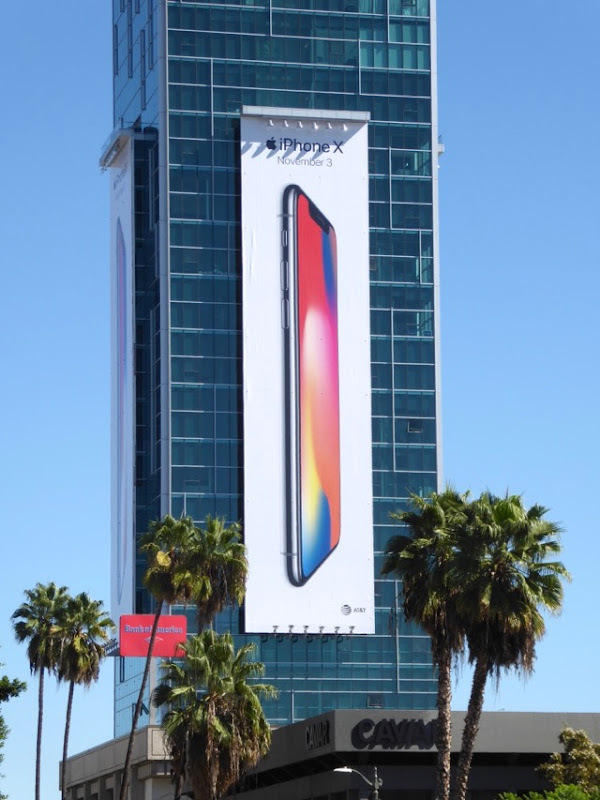 The sleek new iPhone model has an all-screen design, Face ID (which makes your gorgeous mug your password) and apparently the smartest smartphone chip ever. Can you believe the iPhone launched over ten years ago already, back in June 2007, and this latest streamline version from Apple is so intelligent it can either respond to your voice, a tap, or even a glance. 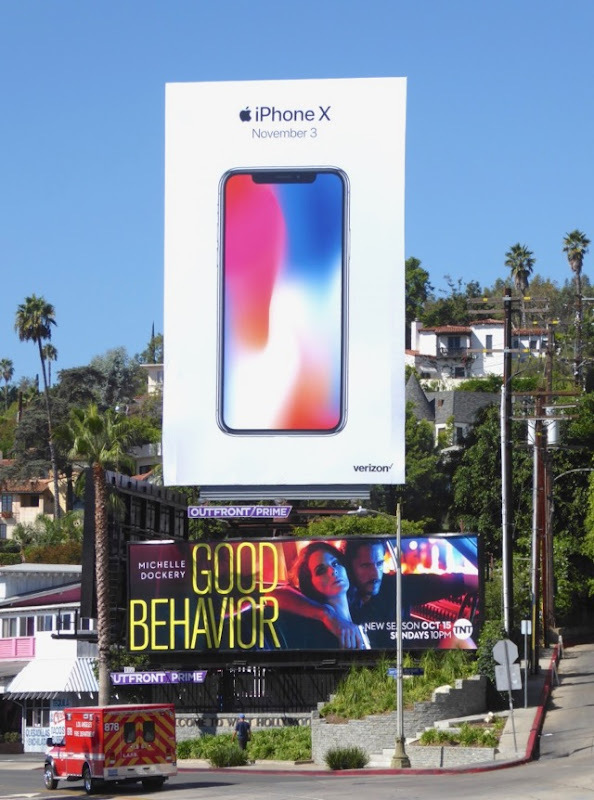 It's amazing to think how much smartphones have changed our lives these past few years, from making phone calls, texting and chatting, taking photos and selfies, online banking and paying at the checkout, playing games, booking tickets, watching movies and your favourite shows, these days there's an app for everything. These vibrant smartphone billboards brightening L.A.'s city skyline were photographed from October 4 to October 13, 2017, along the Sunset Strip, Melrose Avenue, Bundy Drive, Santa Monica Boulevard, Vine Street, Beverly Boulevard and Hollywood Boulevard. 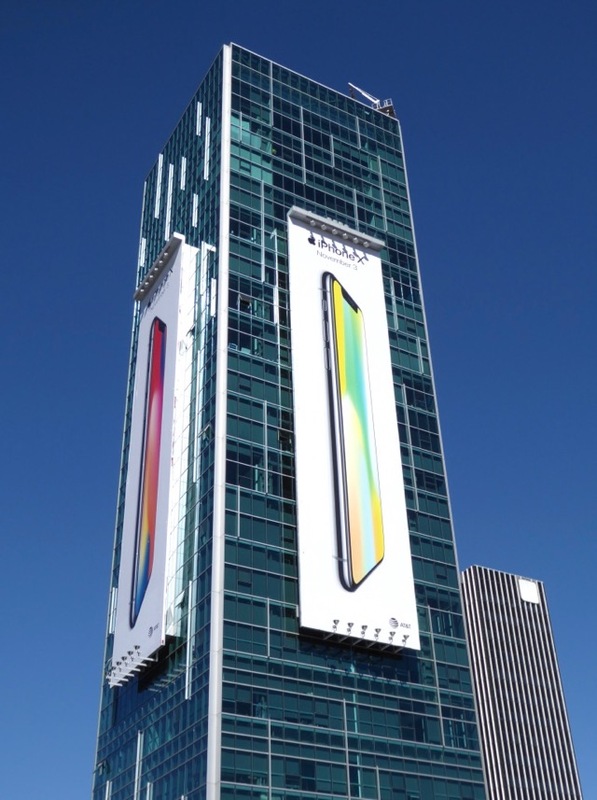 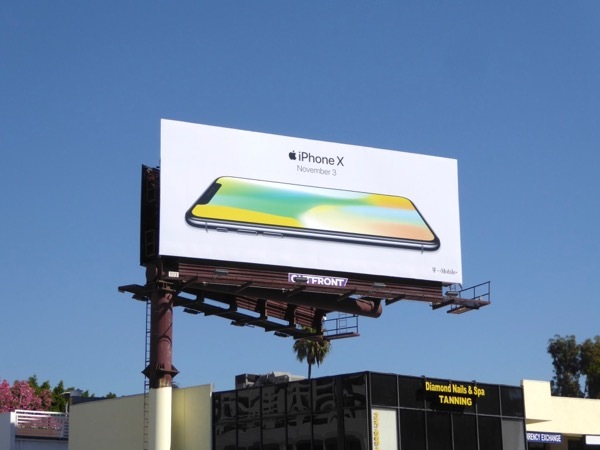 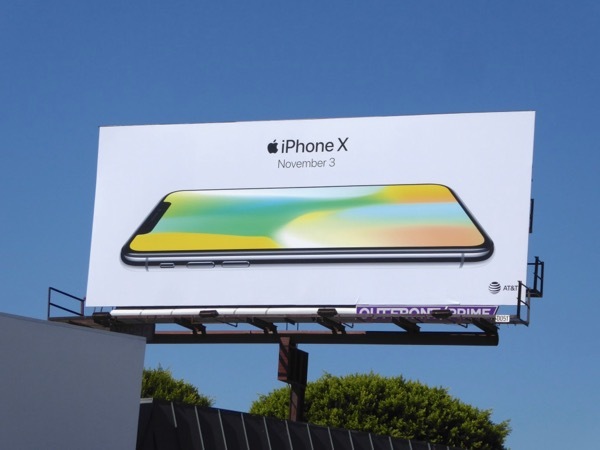 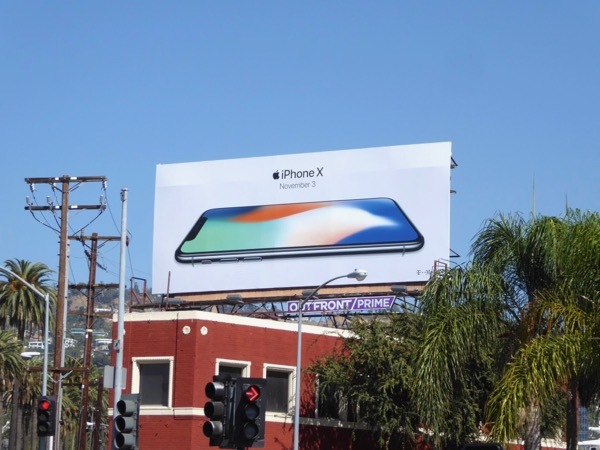 If you like these colourful billboards, be sure to also check out all these other outdoor advertising campaigns for Apple's iPhone from years past. 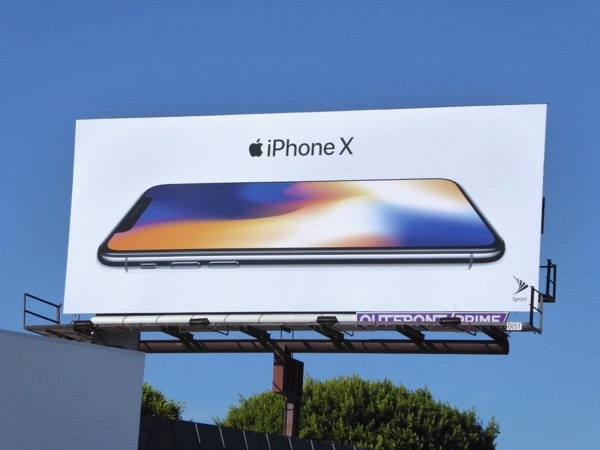 Plus to see how competitors advertise their all-screen smartphones, you can compare these new ads to these Samsung Galaxy S8 billboards in the skies earlier this spring. 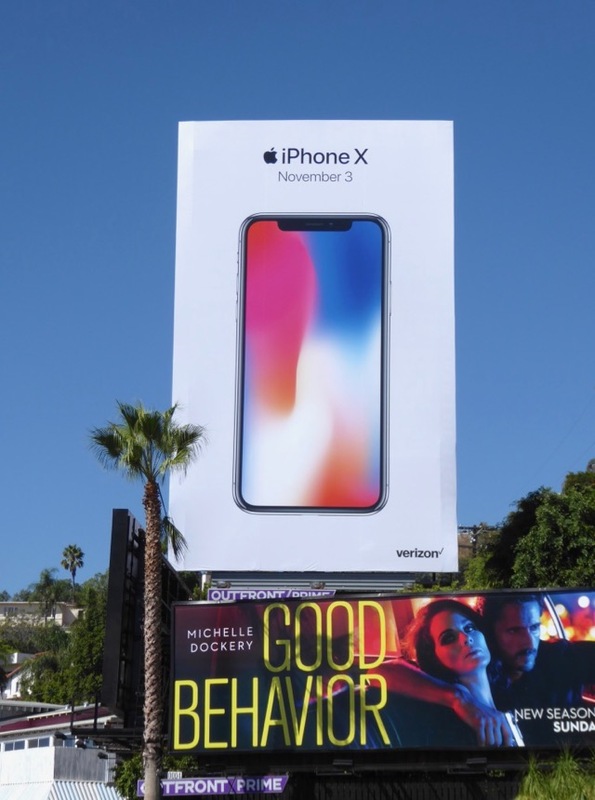 With prices starting at $999, will the iPhone X be on your wish list this festive season? 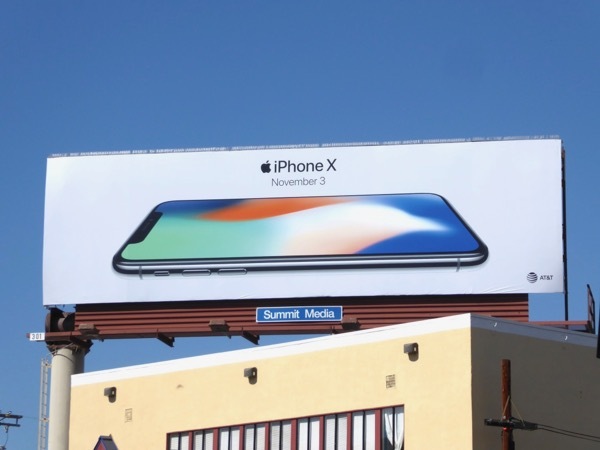 UPDATED: With the iPhone X out on November 3 and no doubt selling like hotcakes, Apple removed the date on its billboards and introduced a few new colour combinations on the smartphone's screen. 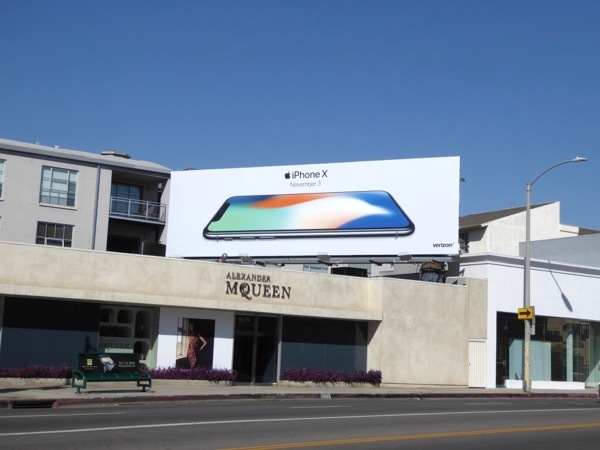 These second wave billboards were snapped along the Sunset Strip and Beverly Boulevard from November 3 to November 7, 2017.